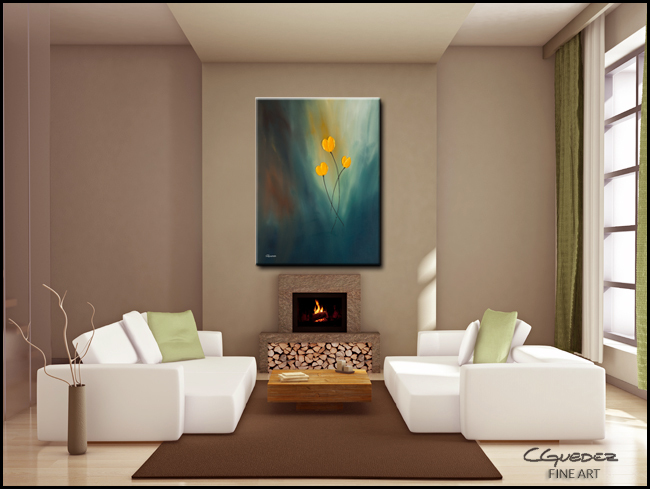 Add serenity to your home with this beautiful abstract art 'Rays of Hope'. 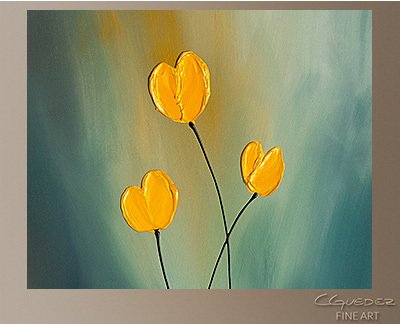 This original abstract painting features yellow flowers under the blue sea. 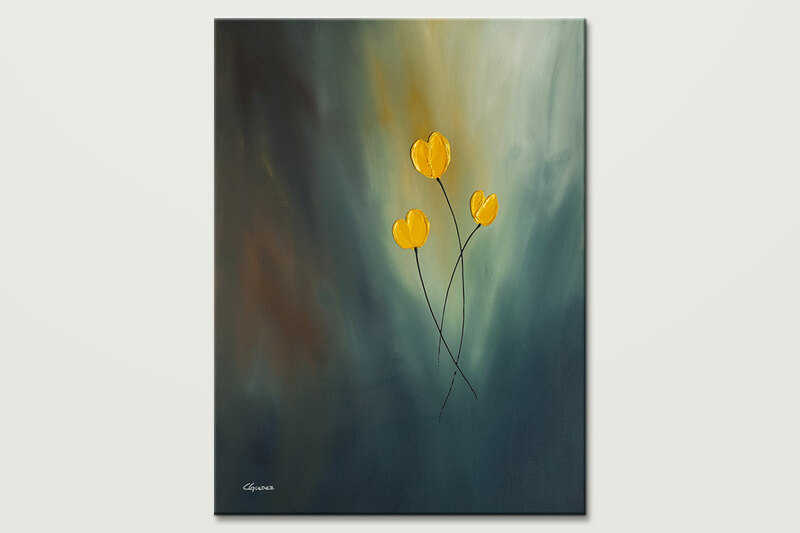 This piece is made from gallery wrapped canvas for a modern look.